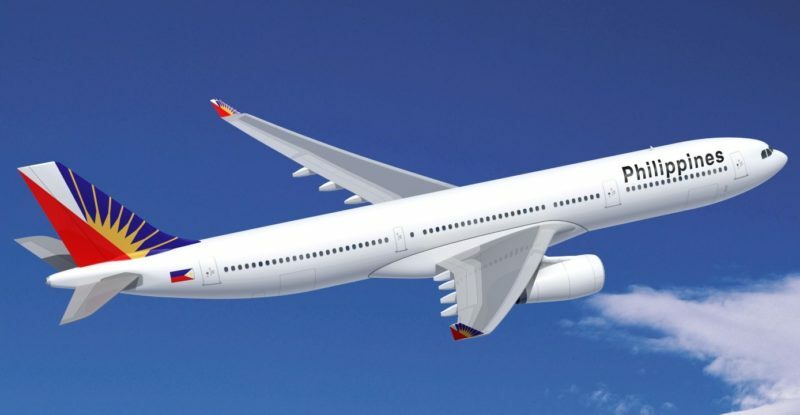 Philippine Airlines might sound like an unlikely bellwether of passenger experience trends, but the airline’s pivot from ultra-high-density all-economy longhaul carrier on its Airbus A330-300 aircraft to a three-class layout superior to many regional competitors is remarkable in its completeness. It’s a big change from the world’s most unpleasant A330 — 414 passengers in the absurdly tight 3-3-3 configuration, with which it fought local low-cost carrier Cebu Pacific’s longhaul operations. Up front: Thompson Vantage XL fully flat beds in a 1-2-1 staggered layout, as seen on a number of airlines including SAS and Qantas. These seats offer direct aisle access but, without the suite-style customisations planned by Delta, do suffer slightly from the zero sum problems of staggered seats. 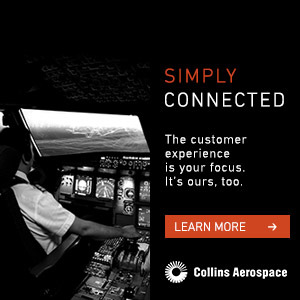 They are, however, a big step up from the airline’s current product, the stacked Stelia Equinox 3D in a 2-2-2 layout, which is featured on the airline’s other Airbus A330 product. 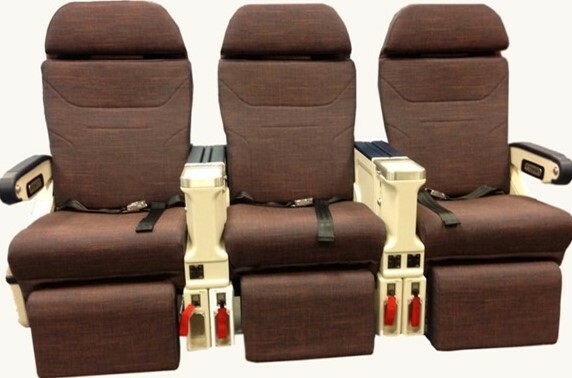 An international premium economy seat, meanwhile, is new to PAL, although the airline did call its extra-legroom seats on the 414-seater A330 “premium economy”. The 24 seats in this cabin will come from Zodiac, and are the usual 19-inch wide, 39-inch pitch. 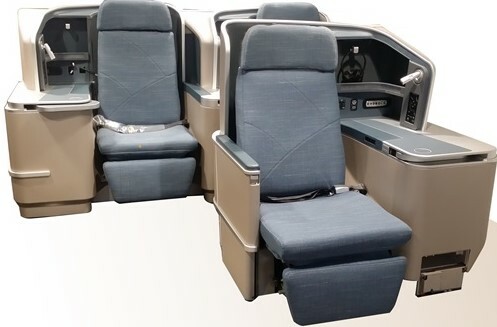 Economy, too, sounds much more pleasant: 267 seats in a 2-4-2 layout with 32” pitch, which is up to the impressively comfortable #PaxEx standard of Cathay Pacific and Singapore Airlines. PAL is doubling up on both embedded and wireless IFE, with Zodiac Aerospace RAVE on-demand screens measuring 18.5” screens in business, 13.3” versions in premium economy, and a respectable 10.1” in economy. The airline’s myPAL player app will provide access to movies, TV and music, while inflight connectivity is also promised — although the airline has not yet announced whether it will be upgrading the slow L-band systems it rolled out with much fanfare just a couple of years ago. From the sounds of its rollout plans, PAL seems set to swap out these new three-cabin aircraft for the older Equinox-equipped two-class A330s on key routes, with Honolulu, Melbourne and Sydney early candidates, by the end of the year. It’s unclear at this stage what the plan is for the former ultra-high-density routes that the refitted aircraft previously served, largely to transport low-skilled workers. “As we journey on to becoming a 5-star, world-class, full service carrier with a heart, we devote our efforts towards enhancing the total travel experience. Our cabin reconfiguration efforts combined with meticulous seat and IFE selection are in line with our goal to make each and every flight pleasant, comfortable and convenient”, said PAL president and chief operating officer Jaime Bautista when announcing the new cabins. That heart includes a “capiz-like side decor”, emulating the translucent mother-of-pearl shell from the Philippine province of the same name, and front and rear sidewalls emulating the embroidery on barong shirts, a national symbol. This attention to detail suggests that, with new management — and help from longtime collaborators, Tokyo-based Lift Strategic Design — PAL is on the up and up, raising the bar for regional players and other airlines competing on markets to the Philippines and across Asia. Whats your feedback on china eastern? I see extremely low fares from the U.S.A. to manla, philippines. Low-skilled workers? Surely the author could have been a little more thoughtful and used less offensive language. Hi Tom. That’s a standard phrase used by the International Organisation for Migration, a UN body. Please see iom.int for more details on that. As for the remaining 7 A330-300 which feature the Steila Equinox they will also be refurbished starting next year according to PAL spokesperson Cielo Villaluna. Nangered. Once arriving in China shang Hai airport staff were not prepared for our arrival. Staff redirected us to different lines on several,occassions only to wait. On the return flight staff we rude, and their english at time could not understand what they were saying. Inclusive of the departure flight safety announcement. I was also shocke to see a tarantula crawling across the floor on the aisle. As it had crawled under the seats where there were children I brought this to the attention of the attendants. Their reaction was tat the plane would need to land before they could do anything! So much for the safety of the children! A number of other 7nc7dents occurred but what I was most upset about was there lack of customer service in dealing with the delayed flight! No one to talk to whomcould provide assistance. I suggested to the staff at the China Eastern Manila Airport that at the very least they could have notified passengers via email as this info was taken at the point of initial boarding. Secondly if the office was not going to be open they could have left a pre recorded message as to the delay. Will never fly China Eastern again ! When there go8d, there good. When there bad theybare terrible! Be forwarned! 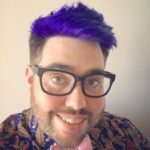 Thank you for an excellent article John. I am a PAL Mabuhay Premier Elite member and fly PAL’s A330 from NRT MNL monthly, PAL’s domestic A330 from MNL GES monthly, and PAL’s A340 twice a year MNL LHR. 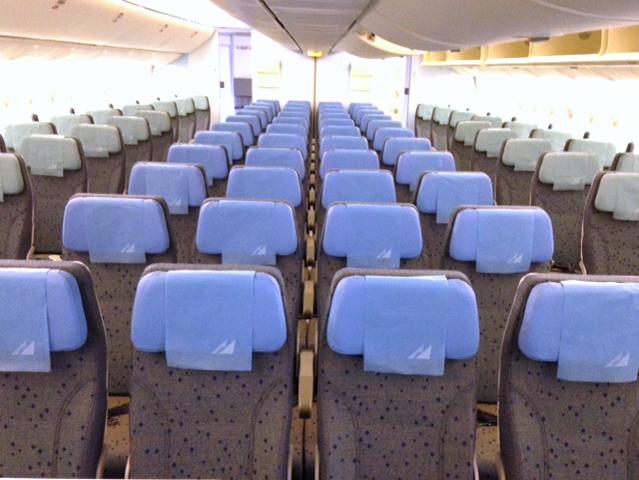 The domestic A330, with 3-3-3 seating throughout (3″ extra legroom in the first 4 rows of Premium(?) Economy) doesn’t bear thinking about……except for their single-aisle A320s, screaming children, and in-flight “party games”, Cebu Pacific is actually a better product domestically….. The A330 on the NRT – MNL route has the Stelia Equinox 3D in Business and frankly I usually refuse to pay the difference from Economy (even the $200 MyPAL Upgrade) because those seats are not worth the added cost and often Economy is 1/3rd empty. The A340 on the MNL – LHR route is ex-Iberia and desperately dilapidated in both Business and Economy., so much so that the last trip I flew on Etihad via Abu Dhabi to enjoy Etihad’s a380. Supposedly PAL will replace the A340s with A350s in 2018 or later….let’s hope they use the same layout as in the new A330. I also look forward to the NRT – MNL A330 being upgraded to the new 3-class layout. any idea why PAL didn’t implement the same layout in the 777 they recently added? Business Class in that plane is reminiscent of United circa 1990. I just flew the previous version of Philippine Airlines Business Class a330 and it was good value for money. 800 USD for DXB-MNL return, that’s a bit more expensive than economy on other big airlines!